Photographer: Nancy Schoenmakers. Model(s): Naomi Nijboer. Source: Vestal Magazine. Stylist: April Jumelet. Makeup: Carlos saidel / Stefan ralbovsky. 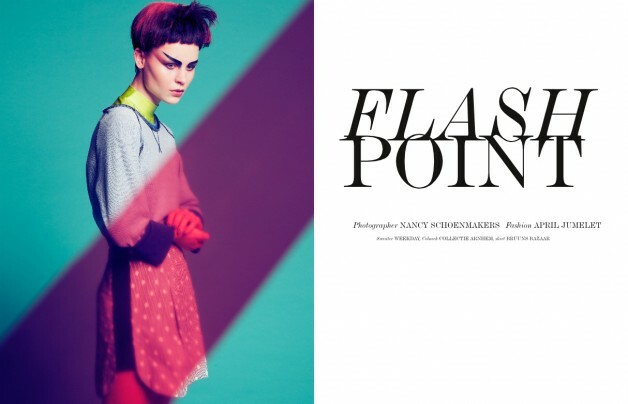 Naomi Nijboer finds the future in ‘Flash Point’ by Nancy Schoenmakers for Vestal Magazine. 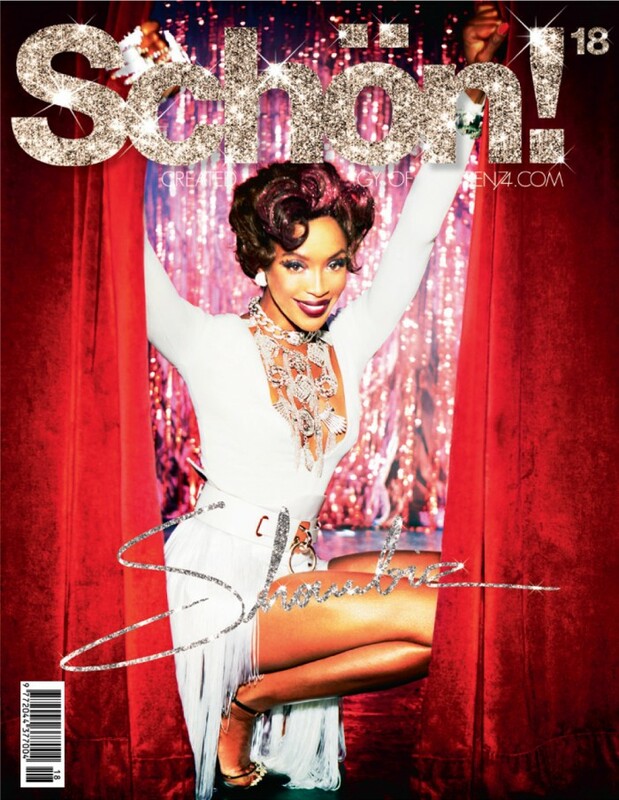 Always on the cutting-edge of inspiration, this pioneering publication isn’t in the business of tracking trends, they are bravely, blazing trails. Revolutionary artists paving a path to tomorrow. 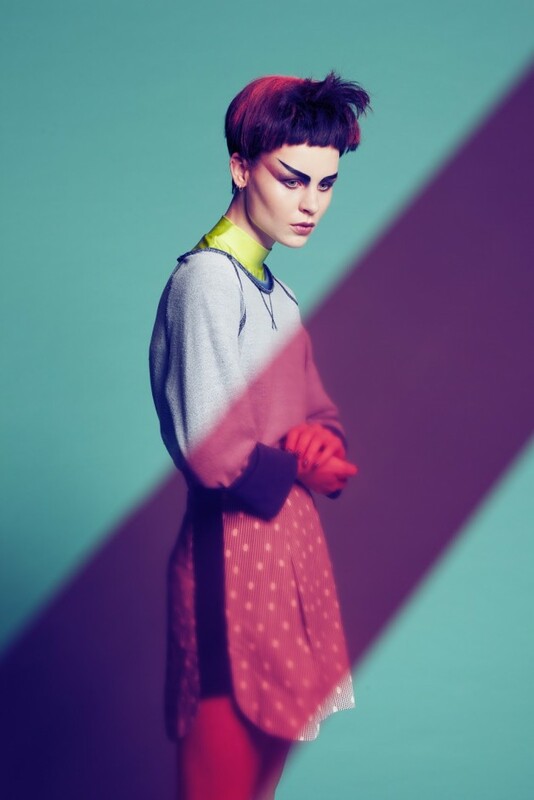 In this edgy editorial Schoenmakers delivers Power Punk Pop Art. Eclectic looks driven by the fashion forward concept of design diversity, this kind of cross-dressing takes the idea of era mixing to the extreme. 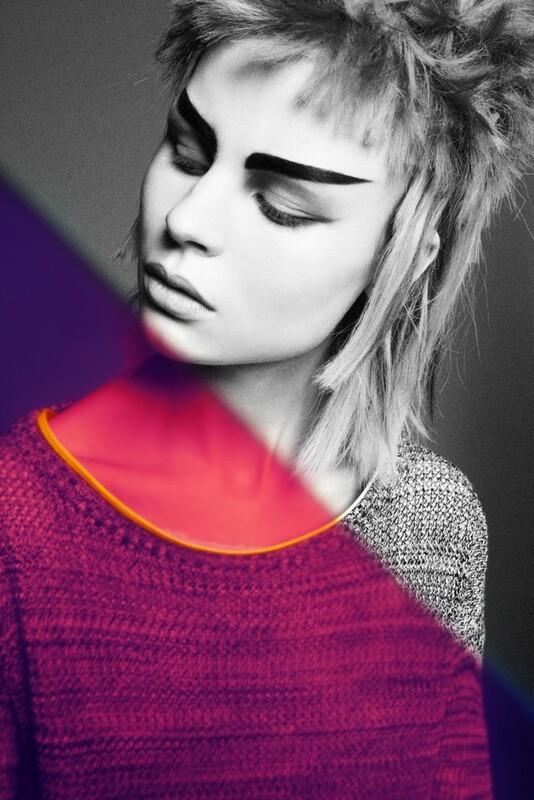 A radical rethinking on the non-traditional style sect, Spock goes Neo-Pop with bold, black brows that dare to redefine the shape of modern makeup. 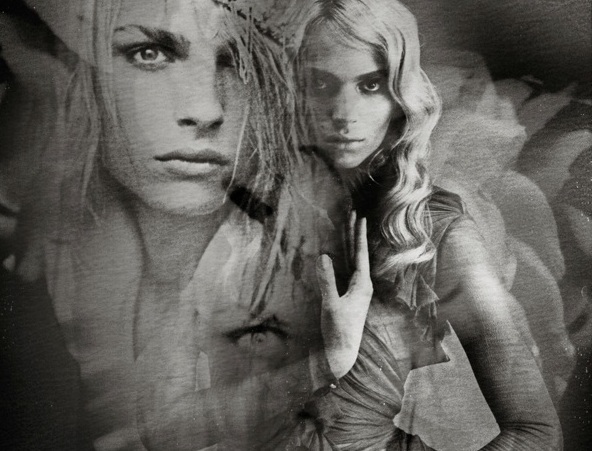 An inspired vision of change, (makeup artist) Carlos Saidel sets out to create a couture friendly face with a more palatable version of runway beauty. It’s in the subtle shifts of styling where high couture takes a turn toward the wearable. And while we might not be ready to rock aerodynamic eyebrows everyday. It’s the true fashion innovators that make way for real advancement by allowing us to imagine a world beyond our cultural constraints.